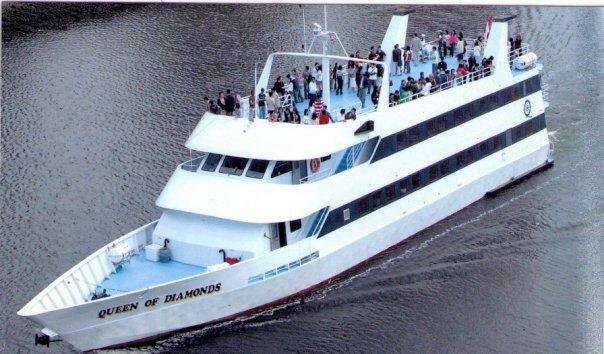 4 hour City Skyline Lights Tour & Canada Day fireworks dinner & dance cruise on M.V. Queen of Diamonds for 19+ Years Event (NO MINORS PLEASE). The Admirals Fleet dinner menu dinner included, is a full dinner with Baron of Beef & Filet of Salmon as the main entrees, including dessert buffet coffee & tea. Dinner Music and in the last hour dance music (DJ hosted dance party available on Sun-deck for inside dinner seating reserved). 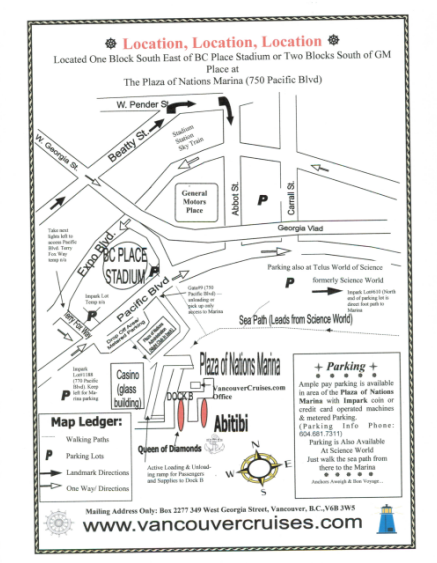 Map of location and parking information included by email with your ticket order. Visa, TD Visa & MasterCard accepted. Licensed Cash Bar Available. Event is for ages 19 years or older - ID required at boarding. Tickets are non-refundable.